A pair of laser safety glasses basically consists of two components: filters and frame. Even though the filter is the more important component (as it enables you to see safely) and determines the price, one should never underestimate the importance of the frame. The LAMBDA ONE is a sporty model laser safety eyewear with a modern look, which fits every shape of head. The shield provides an ideal all-round vision. This low weight plastic model offers high user comfort and is nearly unbreakable. The frame style is a perfect fit for all who do not need prescription glasses. Due to the small size, it is also suitable for children from approx. 6 years. Please contact us for further details. 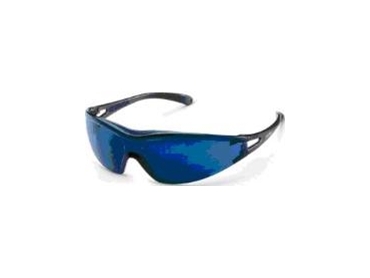 The LaserVision safety glasses, LAMBDA ONE is available from Laser Resources .